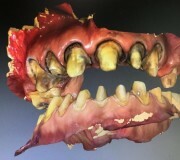 Our laboratory specializes in planning and completing complex combination cases which combine any combination of digital, removable, fixed, srew-retained and cement-retained restorations with our industry-leading esthetics. Our Integrated Implant packages are designed to provide doctors with reliable estimates regarding the total cost and full time frames on combination implant cases. When preparing Integrated Packages for doctors we create a comprehensive service bundle that takes into account all aspects and components involved in these cases including abutments, crowns, model work, articulation, soft tissue, lab screws and labor. In preparing Integrated Packages for doctors we cover every detail in order to provide doctors and patients with reasonable and reliable time frames and cost expectations. The treatment planning services offered at LSK121 Oral Prosthetics are designed to ensure that each case we handle gets started on the right track, offer predictable results, and provide the additional information necessary to provide the highest quality esthtic results possible. 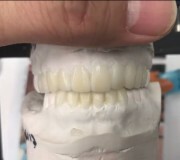 Our wax-up and diagnostic services aid in designing restorations, correcting for potential problems at the onset of the case, and selecting the best materials for each individual case. Treatment planning services by LSK121 Oral Prosthetics provide the best opportunity for dentists and our laboratory to work together and give the patient prosthetic and restorative results that surpass their expectations. 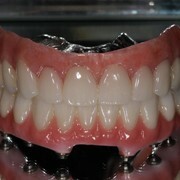 We offer a full range of removable services in-house including dentures, stents, night guards, partials, and more. 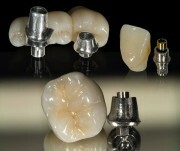 LSK121 Oral Prosthetics has full, in-house digital planning, design and fabrication capabilities. 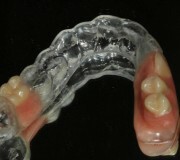 We offer a wide range of Specialty Appliances to cover the full range of patient needs including clear hard acrylic, clear soft acrylic and thermoplast resin. 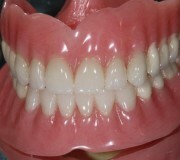 Dentures by LSK121 Oral Prosthetics are a full set of beautiful, life-like dentures that are inserted in patients' mouths the same day that their natural teeth are removed. The ceramic Chairside Shade Guide System finally provides doctors with the ability to match the shade, translucency, and other characteristics of their patients’ natural teeth and easily communicate that information with their laboratory. 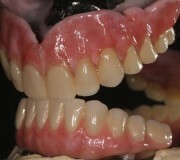 LSK121 Live is our innovative, new web series that is available now exclusively on YouTube which takes you behind the scenes in our laboratory and shows how we handle large and complex cases on a daily basis while also providing education to doctors, lab technicians and patients on how to make aesthetically superior restorations. 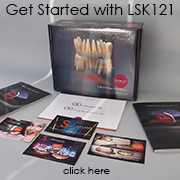 If you are ready to start experiencing the innovative, industry-leading quality work of LSK121 Oral Prosthetics, getting started with us is exceptionally easy.